Home » Publications » Research Reports » Methamphetamine » What is methamphetamine? Methamphetamine was developed early in the 20th century from its parent drug, amphetamine, and was used originally in nasal decongestants and bronchial inhalers. 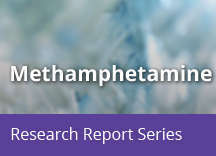 Like amphetamine, methamphetamine causes increased activity and talkativeness, decreased appetite, and a pleasurable sense of well-being or euphoria. 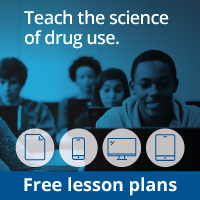 However, methamphetamine differs from amphetamine in that, at comparable doses, much greater amounts of the drug get into the brain, making it a more potent stimulant. It also has longer-lasting and more harmful effects on the central nervous system. These characteristics make it a drug with high potential for widespread abuse. Methamphetamine has been classified by the U.S. Drug Enforcement Administration as a Schedule II stimulant, which makes it legally available only through a nonrefillable prescription. Medically it may be indicated for the treatment of attention deficit hyperactivity disorder (ADHD) and as a short-term component of weight-loss treatments, but these uses are limited and it is rarely prescribed; also, the prescribed doses are far lower than those typically abused.